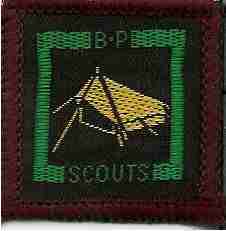 Pass or have passed the Camper badge. Have camped 10 nights since reaching the age of 15. Camp for the weekend at a site (other than the one visited under (6)) and report on the differences, advantages and disadvantages of this site e.g. Ground, soil, trees, aspect and general suitability as a camp site. Show practical knowledge of the subjects covered in "Camping - Get it Right" (the Association's "Camping Standards") and apply that knowledge in planning a camp for at least 3 Patrols, from finding the site to the return home. Make a tent, groundsheet, rucksack or other similar of camp equipment. Have helped satisfactorily at a permanent camp site for not less than 6 nights, or, where this is not possible, have taken sole charge of a camp for a weekend, such camp to have not less than 8 campers and to be visited by the Examiner.